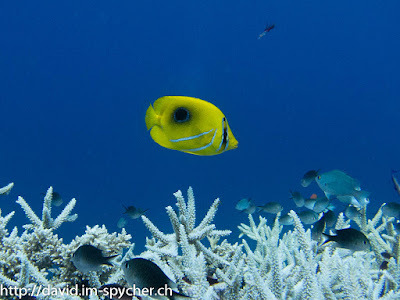 To best way to experience the best dive sites in Fiji, which are located in Bligh Water between Fiji's two biggest islands, is to join a liveaboard cruise, and so I found myself on board the Island Dancer II for a one-week scuba-diving trip. In addition to a large amount of Reef fish we were also lucky enough to spot a Manta Ray and a couple of Whitetip and Grey Reef Sharks. In addition to fish we also saw a lot of beautiful Coral in all forms and colors and the dive site Mellow Yellow, a pinnacle covered in yellow Soft Coral, made the verdict of Fiji as the Soft Coral Capital of the World believable. A highlight of the trip were the two Shark Dives we did in Nagali Passage, the first was a drift dive and the second a Shark Feeding dive. In addition to adult Whitetip and Grey Reef Sharks we also spotted a couple juvenile Grey Reef Sharks, which was really cool! 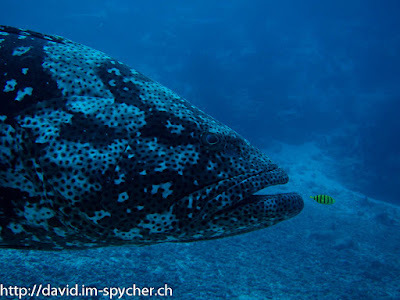 In addition to Sharks we also met Leroy, a huge Blacksaddle Grouper, which stayed around us and wasn't even afraid of the Sharks, some of which were smaller than him! Even though the diving conditions were not ideal, it was the beginning of the rainy season and thus sometimes quite rough seas, limited visibility and strong currents, I greatly enjoyed this trip. 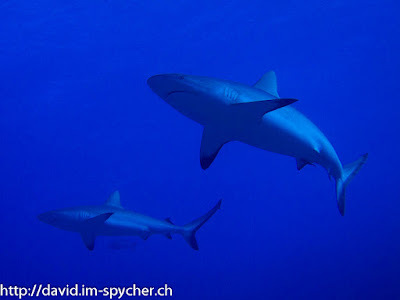 My only regret is that I only learned about the famous Shark Dive in Pacific Harbor when I arrived in Fiji. On that Shark dive Bull Sharks and sometimes even Tiger Sharks can be encountered. 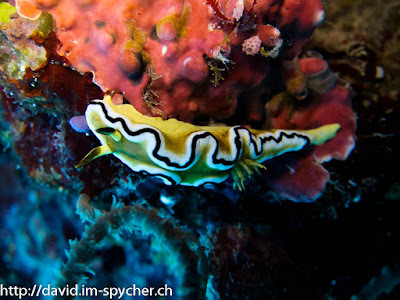 On the other hand I now have a second reason, next to visiting the Humpback Whales in Tonga, to come back to Fiji in 2014!